Dealing with the best in any business is always a good idea, so it is reassuring to know that you are dealing with one of Wellingtonâ€™s top selling agents. With over 12 years real estate experience, Charlesâ€™ depth of knowledge is second to none. 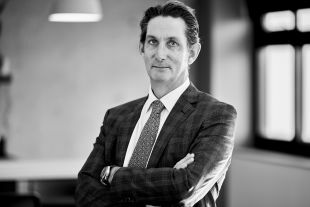 As a long term resident of Wellington and having owned and run local businesses ranging from advertising agencies to building, one of Charlesâ€™ greatest strengths is a large and loyal network of clients and advocates across all price ranges and property types. Anyone can sell a house, but negotiating the highest price for your home is the real challenge. With close to half a billion dollars worth of property sales to his name (ranging in price from $175,000 - $4,500,000), Charles has a wealth of knowledge and skill to get the very most for your property in all markets. With a background in running advertising agencies and marketing teams â€“ standing out in a crowded market has always been a focus for Charles. While we recognise that great photography and excellent print advertising is essential, the way your home is presented on the internet and face to face with clients is vital. Charles is focused on going the extra mile to write engaging and impactful ads and walk through descriptions of your home, both in our high quality marketing brochures and on websites. Charles lives, works and breathes Wellington, and his business is based on having the support of the local community, so he has always focused on trying to give back as much as possible in both time and money. He has donated many thousands of dollars to local schools, kindergartens and crÃ¨ches, and is always up for helping out at fundraisers, auctions, and other community events. Talk to him to see what he can do to help. "Dear Charles. Dorothy and I would like to thank you for the way in which you conducted the sale of 231 Wilton Road for us. 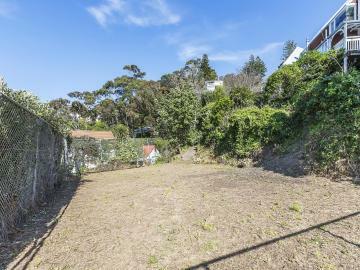 You were at all times helpful and thoughtful and your enthusiasm was infectious and gave us confidence that a successful sale would eventuate, and indeed it did. You kept us fully informed, with almost daily reports of progress and nothing seemed too much trouble. We were impressed with the courteous way you dealt with our anxious tenant. We both wish you future success and are glad to have your friendship." "I have known Charles Morley-Hall for almost three years. I have acted on the sale of two properties and the purchase of one for related entities to myself. In my position as a property and commercial solicitor we regularly interact with the real estate profession. I have always found that Charles has got an excellent understanding of the buying and selling process and has very high professional standards. 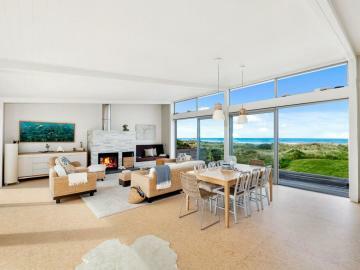 On this basis we have referred clients to Charles who have in turn commented favourably, including one experienced property investor who commented he was the best he has dealt with in the Wellington Region. His integrity has been most evident when dealing with privacy issues and having the best interest of his clients at the forefront, even if that means Charles will be disadvantaged in terms of immediate remuneration. My experience with Charles has also illustrated he has an excellent judgement with respect to the appropriate marketing strategy for each individual property." "It is with great pleasure that we provide a reference for Charles on his performance as an agent in the sale of our property. We have no hesitation in recommending Charles to anyone looking to sell their property. From the outset, Charles provided us with a very high level of professional service, always looking to act in our best interests. This level of service continued until post settlement, with no issue being a problem. Charles’s professional manner and approach gave us great confidence during what could have been a stressful experience. His positive attitude and superior communication skills were always apparent and we have no doubt that these attributes were the key to the successful sale of our property. Very importantly, whatever Charles said he would do – he did. The highest recommendation we can give is to state that we would have no hesitation in using Charles again for the sale of our property. Thank you Charles." "I have known Charles Morley-Hall for approximately 12 years, during which time I have acted as his accountant and financial adviser. Charles has also acted on my behalf on the sale of a residential property and also been the agent on a property I acquired last year. In all my dealings with Charles, both professionally with regards to real estate matters and in his business dealings as his accountant, I have always found Charles to have a significant depth of knowledge regarding real estate and property matters and have always seen him demonstrate a high level of integrity and business ethics." "Hi Charles. I just wanted to write and thank you very much for your part in the buying and selling process – you were excellent. Anyone can be average or just good enough but you and Just Paterson raise the bar on the competition. Right from the start Paula and I felt that we needed an experienced and capable real estate company and in JP that's exactly what we got. We will be sure to recommend you and the team in the knowledge that JP provides an unparalleled level of service and professionalism. At your next team meeting could I ask that you pass on our sincere thanks. PS. The Verve Clicquot and Nosh dinner for six were very much icing on the cake! Thank you."